Brought a spinning reel but cannot fix it? Don’t know how to cast a spinning reel? Tried to use it and failed again and again? Don’t be frustrated. Read this article thoroughly to learn how to use your spinning rod with the reel for fishing. You will initially find its set up a bit complicated, but practicing will enhance your skill later. To understand properly how to cast spinning reel, you will have to know the basics of your device. 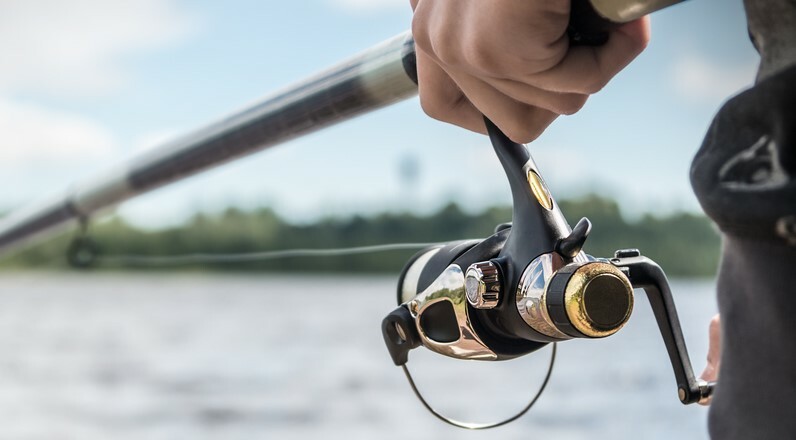 The spinning device of a fishing reel is called “Spinning Reel” also known as “Fixed Spool Reel.” This cylindrically shaped device is attached to the fishing rod. It is used to reel in line (fishing line) around it. Among all fishing reels spinning reel is the best one for beginners as they are affordable, available and easy to cast. If you also aim at the desired distance, go for a spinning reel for the very secure operating system. 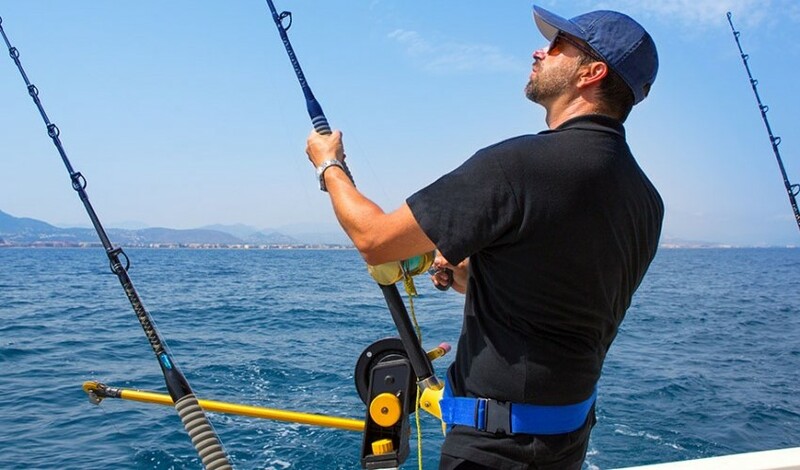 How Should You Hold The Spinning Rod Correctly? For a comfortable grip, put the reel seat between the middle finger and the ring finger of your right hand. Hold the back end of the fishing rod with your left hand. Although some fishermen cast with one hand only but using both hands will give you better controlling power while throwing. It will ensure more accurate and longer casts. Your position is another important factor for a successful casting. Always face your target while casting a spinning reel. This will make the process much easier allowing you to get an accurate cast. To enhance your performance, you should have enough knowledge about the spinning reel and how to operate it. First, understand the important parts of a spinning reel which it is consist of. spool, handle reel foot, ball, line roller and drag knob. • The spool is the part of a spinning reel around what fishing line is whirled around. • The handle gives a balance while casting and used to force back the line into the reel. • Bail is a metal arm that controls how freely and how long the line is coming out from the spool. It let the line to get out when it is open and stops it when it is closed. • Line Roller guides the fishing reel from the spool to the rod. • Drag Knob, when loosened, allows the line come out the spool with a microscopic force when the bail is closed. The line cannot get out if the knob is tightened. Tip, Guides, Reel Seat and Handle. • Rod Tip is the last four inches of a fishing rod. It is the thinnest part that makes you feel when a fish bites. • Guides are little circles through which the fishing line passes and stay close to the rod. • Reel Seat is connected, by reel foot, to the part of the spinning reel that fixes the reel to the rod. • The handle is what you will be holding for keeping balance through the entire fishing time. The spinning reel is mandatory here. First, read a lot of customer reviews and do some research on websites to decide what kind of reel you need. You can start from some informative sites like Cabelas or Bass Pro Shops to pick a perfect spinning reel. You can also visit some nearby shops to select the right one. Pflueger, Okuma, Daiwa, Shimano, etc. are some popular brand that produces quality spinning reels. You can also choose from their products. Spinning Reel is the first thing to be selected from different models of the various renowned brands. You should buy it according to your needs. Fishing Rod is often designed to match with specific reels. Our recommendation is going to local market and ensure the right rod that suits your reel. Fishing Line is a cord used for angling and whirled around the reel. Choose a fishing line according to which kind of fish you are targeting. You can learn from trails.com about the fishing line basics and buy what you need. Bait or Hook selection depends on types of fish that you are planning to fish. Bringing multiple types of baits is preferable as different types of fish choose different baits on the different time. You can research for them well before going for fishing. Scissors need no researching. Collect any scissor. 1. First, make the reel seat space big enough loosening the reel of the fishing rod. It will allow the reel foot to fit well in the seat. 2. Place the reel foot of the spinning reel into the reel seat of the rod. 3. Fix them well by tightening the reel seat until the reel is sturdy. First, open the bail then place the fishing line around the reel. Two pieces of the line will be formed and stay connected to the reel. Use these two pieces to tie an overhand knot. Tie another knot using the resulting pieces of the line. Just about 1/4″ away from the spinning reel cut the loose piece of fishing line. Hold the line tightly about one-foot away from the reel to prevent it from being tangled while putting the line on the reel. Turn your reel until you get enough line around it depending on the types of the reel and the line you’re using. Some reels have a level mark on their side indicating the maximum amount of line needed for the coil. 1. Grab the wire’s tip by one hand and open the bail arm with another. 2. Place the thread line into each guide through the rod from bottom to tip. Tie a knot on the fishing line with any bait to lure the fish. You can make a basic traditional knot if you are a beginner. For fish over 15 lbs, you can try some other complicated knots: Palomar Knot, Albright Knot, Clinch Knot, etc. You can use these types of knots to any bait or hook. Insert the line through the hook’s eye so that there’s one piece of line on either side of the hook. Hold the each piece of the line with your index finger and thumb. Cross one piece of the line over another hand. Now you have both pieces in one hand. A loose loop will be formed around the index finger. Place the piece that is dangling from your index fringier through the loop. When you remove finger, make sure the circle is intact. Pull apart the both ends of the line to tighten the knot. Repeat this step for at least three times more. About a 1/4 inch away from the hook eye cut the loose line. Never cut the line that is connected to the rod. Turn clockwise the knob to tighten and counterclockwise to loosen. Pull the fishing line from reel manually to find out how the drug has been affected. Until it is set at a desirable amount, repeat these steps. If you are not experienced, ask someone skilled. Otherwise, adjust the drag on the loose side since too tight setting can break the line while reeling in a fish. Always set the drag knob before fishing. You can also change it while fishing if you think that you need. Tips: How can you understand if the drag is too loose or too tight? Fish can take the line quickly out of the reel. The hook tension will be reduced in the fish’s mouth that let the fish spit out it. The rod will bend very much, but fish will not take out any fishing line. The line may have broken due to too much tension. Surfing on internet video about how to cast spinning reel will help you to a great extent. Besides, follow the steps and practice well. Let around 1—1.5 feet of the line to hang from the rod tip. Now hold a few inches above the reel base on the fishing rod. The same time keep the parallel line to the rod with the hand that’ll be used to reel in. Use the opposite hand to open the bail. Hold the rod base with the same hand like the second step. Learn the fishing rod backward far from the target. Swing it quickly towards the target and release the hand from the first phase at the top of your cast. At first, close the bail. In the roller line place the line. Now turn the handle of a reel. Fish prefer different method through various time depending on countless factors such as time, water temperature, weather, etc. So there are different ways of how you can reel in. You can do it fast or slow, at a constant speed or with intervals, with the tip up or down. No skill can be developed within seconds. Remember that old speech that your daddy has told many times in your childhood— Practice Makes a Man Perfect. Start practicing from your backyard. Your experiences will make you more and more skilled day by day. So grab your fishing reel and take your boat out. Hopefully, you have learned all the core and necessary steps of how to cast a spinning reel. Now you are ready to use your new spinning reel, congratulations!! Go, snitch the benefits from this article and catch a lot of fish. Keep away all frustration and have a big smile on your face. If you want to check out different types of baitcasting reels, click on this lnk – Best Baitcasting Reels Reviews. Have a happy fishing day. Read our article on How To Spool a Spinning Reel as well, if you don’t know how to get done with it. Cheers!